If you’ve got the winter blues, check out the photography of R. Todd King. 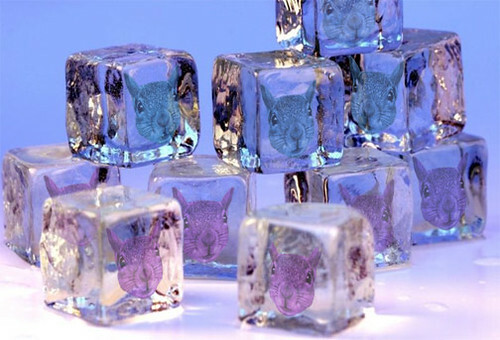 The images show that ice can be nice. He’s got amazing pics of sculptures at the Harbin Ice and Snow Fair in China. These are huge creations of art and architecture that are incredible to see during the daylight, but at night they are even more impressive because they are illuminated in colorful hues from within. All his photography including documentation of trips to Canada, Alaska and other areas is eye-catching, but the shots from China shouldn’t be missed. He attended the Harbin festival three different years. See them all. I thought it was just me, but apparently I wasn’t the only one struck dumb by John Travolta’s “hair” on Oscar night. I mentioned the Popeil spray-on coif that Vinnie Barbarino sported on the red carpet and during his presentation of the Best Original Song Oscar. It seems the entire world of web surfers are also still craving more of John’s hair don’t. I’ve had in one form or another, multitudes of visitors to this blog seeking to find the truth atop Travolta’s scalp. The closely-cropped coif was an odd, unnatural Just for Men sort of color and was altogether creepy in general. Maybe it could be some new reality show. Call Mark Burnett, stat. For a man who once teased teens with his lustrous black locks, this was about as disturbing as seeing him in his Battlefield Earth get-up. I survived another Oscar night without a hitch or a glitch or a hangover. Woo Hoo!!! “No Country for Old Men” was the big winner on the night. If you read through my entire evening of blog posts about the Oscars, you deserve a gold star and a stroll down some Internet red carpet. For a complete rundown of all the Oscar winners and her take on the overall event, you can head over to Sharon Cobb’s site. For the fashion police, here are pics of all the ugly/beautiful Oscar gowns. Personally, I thought Diablo Cody’s animal print rocked the carpet. Way to be your own person and not bow to the fashionistas. And congrats on winning for “Juno”. Well, I guess it’s back to goofy blog posts about squirrels, baseball, Elvis and the Loch Ness Monster. So, it’s over. The 80th edition of the Oscars has come to an end. I watched it all. And I have to give it, as a production, a C+. 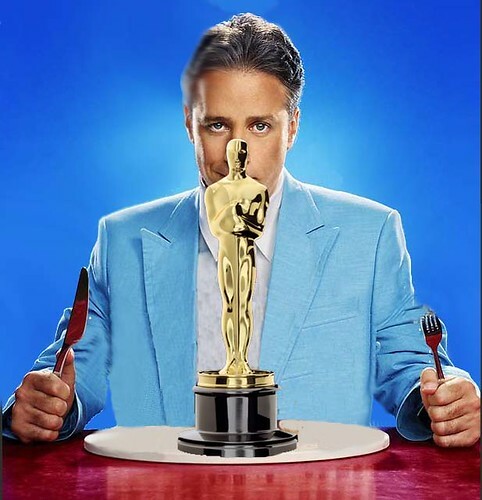 John Stewart, the host, was somewhat average to mediocre. Again, the Barack Hussein Obama comparison to Gadolph Titler joke was probably the highpoint for me from him. There just wasn’t that one moment from the broadcast which jumped out. There were no one-armed push-ups or streakers or native Americans accepting awards in lieu of an actor to spice up the event. No controversy. No great surprises. Oh well. I’m sure I’ll tune in again next year. Thanks for coming along for the ride tonight. If you noticed more typos near the end, attribute that to the champagne being imbibed. 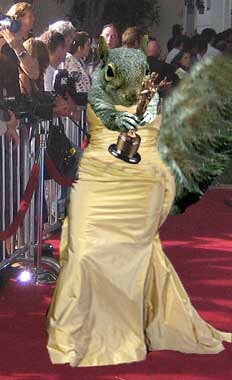 Oscar night is a holiday here at the Squirrel Queen’s house. If you came over here from Sharon Cobb‘s blog, thanks for visiting. And thanks to Sharon for sending you my way. I hope I didn’t disappoint her with my efforts. I know she was already disappointed that “Across the Universe” didn’t get more Oscar love. Movie lovers, head back to the theater, buy a jumbo popcorn and enjoy and we’ll meet here again next year for No. 81. Good for them for bringing a bit of spice to the often-staid (no matter what some believe) world of Hollywood. They have true talent and a clear creative vision no matter the genre they are working in. As I said earlier, I saw “Blood Simple” in the theater with Newscoma so many years ago. Since then, I’ve been planted in the rickety theater seats with my shoes stuck to the sticky floor through every offering they’ve sent my way. And I’ve enjoyed almost every one (see “The Ladykillers” reference earlier tonight). Daniel Day Lewis and his mustache accepted the Oscar for Best Performance by an Actor. Helen Mirren, again a red dress (meow), presented the award. Let’s link back to the Milkshake video I posted earlier. So, Diablo Cody won the Oscar for best Original Screenplay for writing “Juno”. Yay to someone who is outside the Hollywood norm. Yay to a movie that doesn’t pander to the lowest common denominator (sorry Norbit). Congratulations to everyone involved with this movie. Orange tic tacs never quite carried the cachet they have now.